Photo Credits: Larry Hanelin, Kino Border Initiative, 2015. All Rights Reserved. The U.S. Customs and Border Protection (CBP) is not fulfilling its obligation to protect the civil and human rights of migrants apprehended, detained and deported back to Mexico. A study released this week entitled “Our Values on the Line: Migrant Abuse and Family Separation at the Border” (full text) found that more than one-third of deported migrants experienced some type of abuse or mistreatment at the hands of U.S. immigration authorities. The abuses included theft, physical abuse, verbal abuse, and inhumane detention conditions. In violation of U.S. Department of Homeland Security (DHS) policy, these conditions include but are not limited to being held for over 12 hours in facilities without beds, overcrowding, excessively low temperatures, lack of adequate food, and denial of medical treatment. Commissioned by the Jesuit Conference of Canada and the United States and the Kino Border Initiative (KBI), the report details the results of an in-depth survey of 358 Mexican migrants deported from the United States to the border city of Nogales, Mexico, from July 2014 to March 2015 – and corroborated by short-form surveys of 7,507 other migrants in the same area. Since 2005 CBP has sought to deter Mexican migrants from attempting to enter the U.S. through a policy of “enforcement with consequences.” Formally launched in 2011 as the “Consequence Delivery System,” this package consists of measures against individual migrants that are so harsh as to be obviously intended to cause hardship and suffering. In so doing, Border Patrol has abrogated its previous commitment, undertaken in 2004, to use its authorities to preserve family unity and ensure humane treatment of apprehended migrants. Making things worse, Border Patrol agents often incorrectly enter names into computer databases, deny access to phone calls, and deny access to the individual’s consulate. 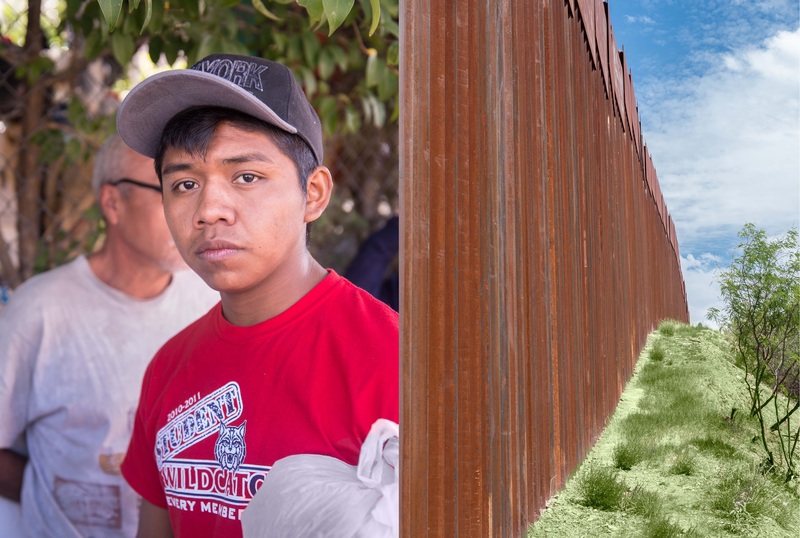 Two out of three migrants surveyed who crossed into the U.S. with immediate family members and apprehended together by the Border Patrol were separated from each other and deported to different ports of entry days, weeks, or months apart. Twenty-eight percent of migrants surveyed were deported at night – to Nogales and other destinations with high levels of violence – making them particularly vulnerable to abuse by criminals and corrupt police and other public officials. One of every seven women was placed in this vulnerable position. Migrants alleging abuse were unlikely to file a formal complaint. Less than one out of every 12 deported migrants in the survey claiming some type of abuse filed a complaint with U.S. immigration authorities. Reasons for not filing a complaint include being unaware of the right to do so, fear of retaliation, and a belief that it would not make any difference. The abuses were not carried out by “a few bad apples,” but rather reflected policies across Border Patrol and poor oversight of their implementation. The patterns of abuses are too extensive to argue otherwise. Punitive border enforcement punishes people whose suffering in their home countries had already grown unbearable, and there is no evidence that these policies deter unauthorized immigration. In fact, a recent report of the DHS Inspector General found that the CBP has failed to accurately measure the deterrent effect and the cost-effectiveness of the core policies of the Consequence Delivery System. Evidence is much stronger of the negative and unintended consequences of these policies, both for migrants and border security. In personal communication presented in the report, CBP’s former Assistant Commissioner of Internal Affairs James Tomsheck attests that an attempt to enhance the enforcement capacity of the agency through a hiring surge of some 12,000 new agents in just over two years was marred by a predictable deterioration of the vetting process and a sharp and consistent decline in “the quality and suitability of the Border Patrol applicant pool.” This new report points to several key areas for reform to help limit abuse by Border Patrol agents, including stronger independent and internal oversight mechanisms to tackle misconduct and abuse; an accessible and accountable complaint process; an overhaul of CBP training; equipping CBP agents with body-worn cameras; and improving CBP short-term detention conditions. The study also recommends that deportations to Mexican border towns occur only during daylight hours and that DHS, responsible for CBP, put in place a process to identify family relationships and preserve family unity upon deportation. Such measures would begin to address the most pressing problems faced by migrants and their families – without triggering a spike in migrant traffic. *Michael S. Danielson, a CLALS Research Fellow, was the principal researcher and drafter of the report.